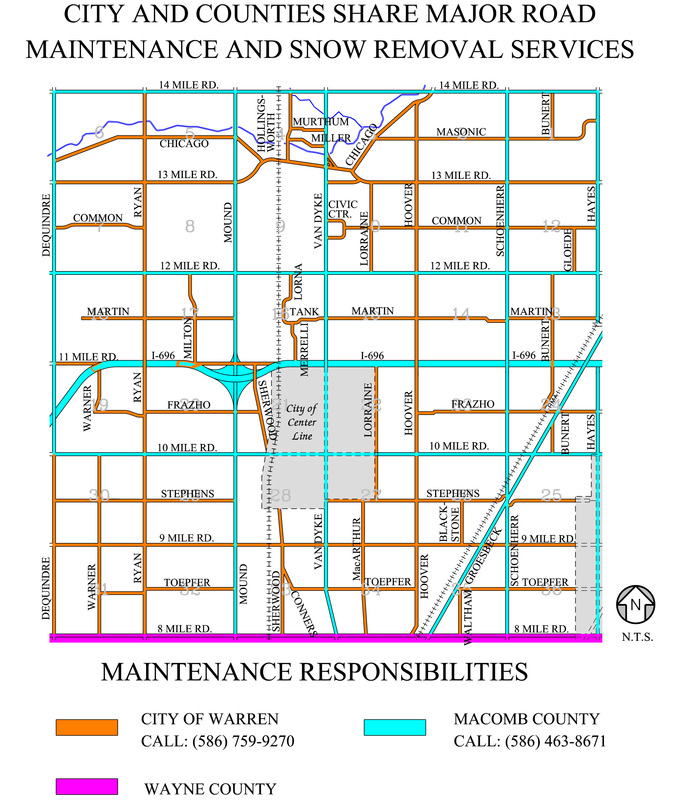 “The vast majority of motorists do not distinguish between county-maintained and city-maintained major roads; they only want corrective action.” Mayor Fouts said in a statement. “Our city roads will continue to be maintained by our DPW crews, and the county roads will be maintained by four crews until 7:30 p.m. tonight, four crews at 7 a.m. tomorrow and 4 crews at 3 p.m. tomorrow. The county roads will be 12 Mile, 14 Mile and Schoenherr in Warren. The crews will consist of water division and sanitation division employees. This entry was posted in Community Development, Mayor. Bookmark the permalink.